Weatherford, TX - Authorities say several inmates at a Texas jail broke out of a holding cell to help save an armed guard after they saw him lose consciousness. Sheriff’s deputies rushed to the basement, corralled the inmates back into the cell and summoned paramedics, who revived the guard. Parker County sheriff’s Capt. 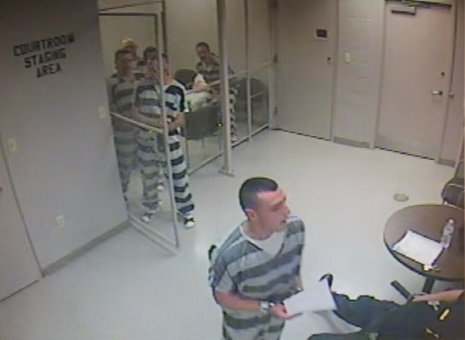 Mark Arnett cited the inmates’ quick response, saying 15 minutes could have passed before a staff member found the guard. Corralled??? Theyre cattle???? They just saved a life!!! Any comments on the first responder resuscitation style/methods? This officer is alive because the inmates came to his aid. This officer is alive because I am sure he did not treat the inmates like animals. Any comments on a system that leaves 1 guard alone with a large group of inmates for 15 minutes at a time ??? There could have been far worse outcomes. the incident ocurred was in Texas.